BEESTON hosted the dispersal of the Sterndale and Peak Holstein herds, held on behalf of Bill Nadin and Yasmin Bradbury at Fernydale Farm, Buxton. The eight-year-old cow Milliedale Dusk Rhapsody owned by Ms Bradbury’s eight-year-old granddaughter Millie Wardle, topped the bids at 10,500gns. 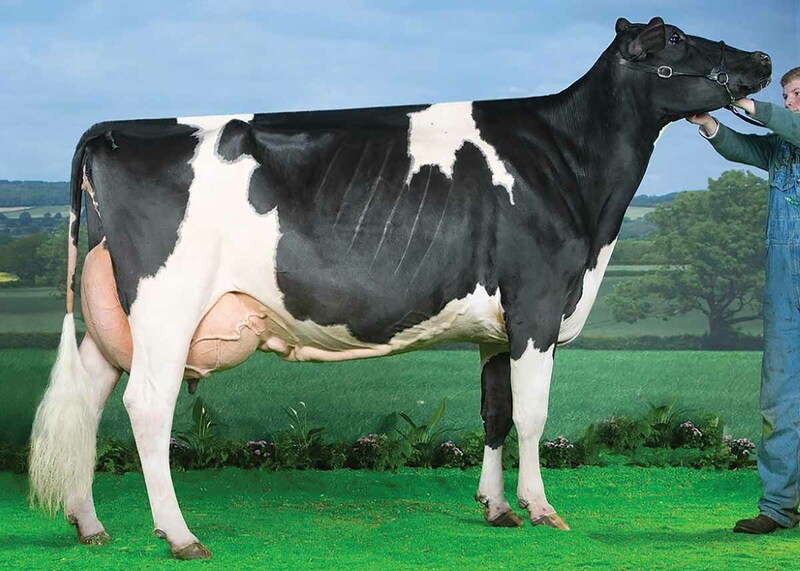 Dusk Rhapsody is a 94 point fourth-calver and is out of the show cow Peak Goldwyn Rhapsody. Backed by 14 generations of EX classified cows, it last calved in December and is back in-calf to Delta-Lambda. Yielding 45.6kg daily, it fell to D. Neville, Co Limerick. Following at 10,000gns was Dusk Rhapsody’s December-born heifer calf Milliedale Doorman Rhapsody. Sired by Doorman, it was picked up by I.L. McMurray, Co Down. 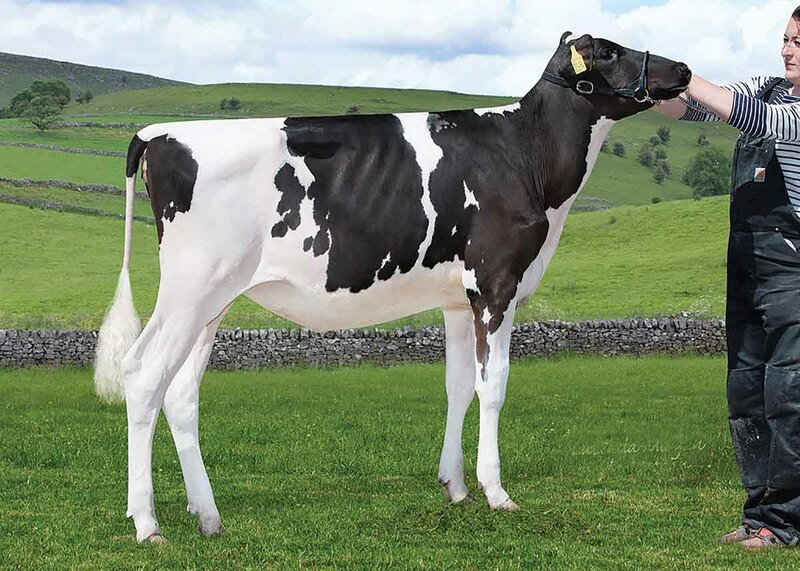 Two cows made 7,500gns each, firstly for Sterndale Explode Rachel, a second-calver giving 39.2kgs daily. Calved in November, it went to Messrs Phillips, Llanelli. At the same was the second-calver Sterndale Ladd Airy Red, a daughter of Ladd P Red and freshly calved in June. Giving 46.7kg, it was bought by M.J. and L.J. Robertson, Horton. Saloon Ghost, a two-year-old VG 88 heifer sold dry to R. Hassard, Derrygonnelly, for 6,800gns. Due in August to DG Charley, it is out of an EX 91 Lauthority-sired cow. 10,000gns was Dusk Rhapsody’s December-born heifer calf Milliedale Doorman Rhapsody. 103 cows and milking heifers, £3,535.62; 33 heifer calves, £2,201.82; 2 bulls, £2,257.50; 30 embryos’, £521.85.